Great weather for the kitchen garden! 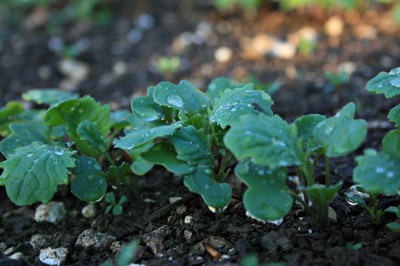 Thanks to the great weather of late the kitchen garden has really kicked on and the vegetables are coming along nicely. The soil is not ideal at Blackbirds as we are on a combination of chalk and flint. Although it drains well we’re forever removing flints and working in copious amounts of compost to counter the lime from the chalk. Here’s a brief update of what’s been growing in the veg plots in last few weeks. 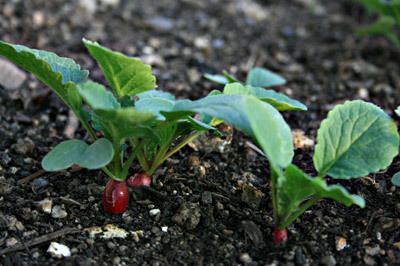 My swedes were sown direct in the ground around 3 weeks ago and are looking healthy enough. They do need regular watering in this dry weather if they are to survive. 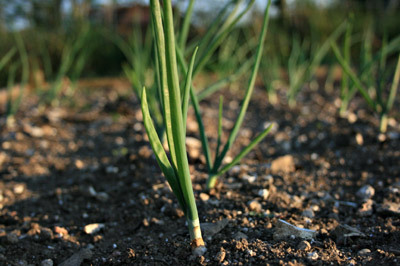 I prefer to grow my onions from sets sown in seed trays in early February and planted out in the open ground early April. 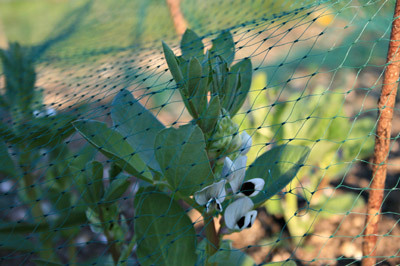 We have to net most of our veg plots to keep the pigeons and chickens from eating everything! Apart from that we don’t add anything else in the way of pest control and touch wood … we don’t suffer with pests. Slight change this year with my radish seeds. Usually I’d sow them in thin drills but this year I’m sowing some of my root veg by broadcasting (spreading) the seeds in a space approximately 1 meter by 1 meter. Hopefully this should avoid quite so much thinning out later. Early signs are encouraging. 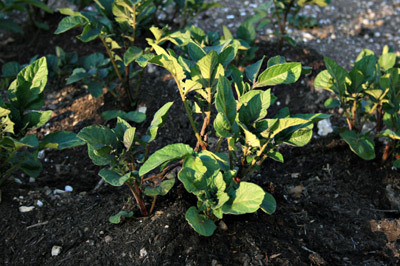 The first early potatoes are through and looking good, but if we have any late frosts we might be in trouble. I’ll keep earthing them up for a while longer, but on reflection I should have planted them a little deeper. 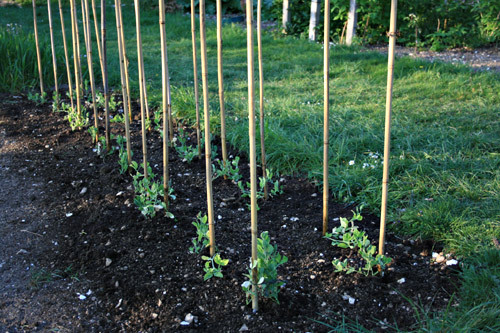 I’ll wait until any chance of frost has passed before planting my runner beans out. 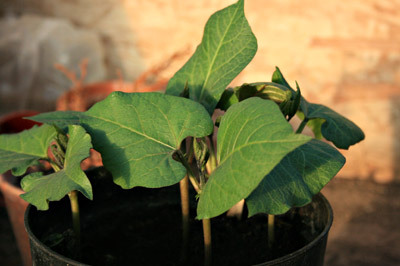 We’re not overly keen on runner beans in our family so I only grow a few plants.